The installation packages can be downloaded here. 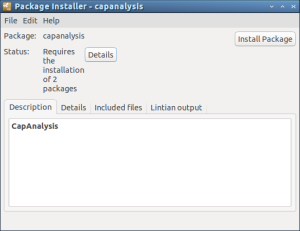 After that, from the Desktop select, with the file manager, the CapAnalysis’s installation package and clicking the right mouse button, install CapAnalysis using GDebi. Using your browser (Firefox, Chrome, …) visit the URL http://localhost:9877. 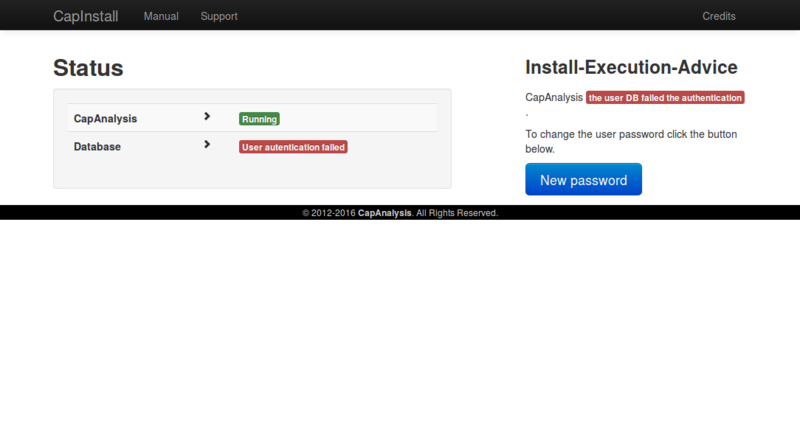 If you installed CapAnalysis in a server whose IP is <server_ip> the URL to use is: http://<server_ip>:9877 . The page visualized will be similar at this at the right. Click on the button named “New password” and wait some seconds and following the instruction. After that you can upload your pcap file.